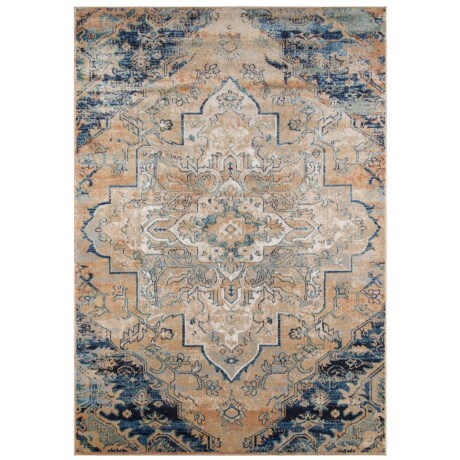 Amelia Medallion Navy Vintage Area Rug - 5?3?x7?6? CLOSEOUTS. Rich hues and stylish patterns adorn this Momeni Amelia Medallion Vintage area rug, made from polypropylene and polyester with a durable backing for long-lasting appeal and versatility in your home. Available Colors: NAVY.